Big news for V8 owners! 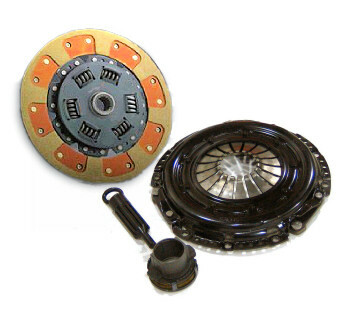 Many owners have experienced mushy clutch feel, inconsistent engagement, and premature wear of the clutch in their manual-transmission cars. The reason is quite simple - the original BMW (LUK-manufactured) clutch in the V8 models has a new "SAC" (Self Adjusting Clutch) design. This new mechanism built into the pressure plate is supposed to keep the clutch pedal engagement point the same as the clutch wears... but in all reality, it's a case of "an answer to a question that nobody was asking." They have added a layer of complexity and feedback isolation, filling a need that didn't need filling - it is not too often that anybody notices that their clutch engagement point as moved 1/2" over 50K miles.